The two sisters had been strolling along Silver Beach in Toms River last week when they discovered a 5ft-wide hole in the sand with a small black rock sitting directly in the middle of it. Curious about the find, they decided to post up photographs on Facebook where social media users were quick to suggest that it was most likely a meteorite that had fallen from the sky. Hoping to learn more about the object and where it might have come from, the two sisters decided to take it to the Franklin Institute in Philadelphia where it was examined by astronomer Derrick Pitts. As it turned out, the object wasn't a meteorite at all - it was a piece of coal. "Derrick Pitts, chief astronomer at the Franklin Institute in Philly, examined the rock my sister Jean Muchanic and I found in a crater at Silver Beach last week," Nora wrote. "Derrick says it's not a meteorite, it's a piece of COAL. Waaaaaah..... 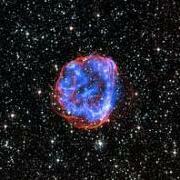 So nothing from another galaxy, now just a big ugly paperweight! Thanks to @TheFranklin and Derrick for taking the time to look." Exactly how the coal had ended up in a hole on the beach however continues to remain a mystery. I think the tyre and footprints around the mound is a bit of a give away, others have been there before. When i was little we would travel to crescent city to see fireworks on the beach for the 4th of July. There was sonebody that would light what seemed to be sticks of dynamite. You could hear it across town. I bet that left a few holes in the sand and burnt things, just like this. its just a sink hole. The rock appears, to me, to be sedimentary in composition. Not sure how layers would form in space. Somebody's poor attempt at a camp fire from the night before!